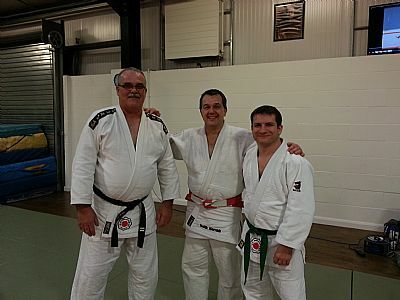 Saturday 22nd Of February saw Neil Bourne and Chris turner take a full day Kata course at Samurai Judo Club, Kidderminster. The course covered introductions to KATAME-NO-KATA and GO-NO-SEN-NO-KATA. The course was taken by Andrew Heffner, of Samurai, and Keith Merrick, B.J.A. Technical Officer. The course was very intensive but gave an excellent insight into the Katas. Many thanks to Andrew and Keith for their hard work and for being so welcoming. Samurai Club hold many training sessions, please take a look at their website.